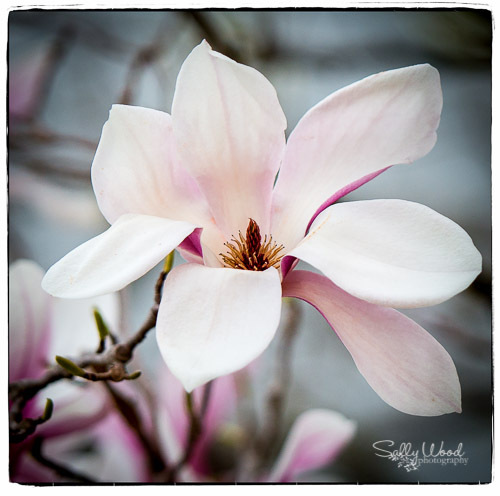 I grew up and was raised in Minnesota…… NO Magnolia Trees there, so for the 26 years I have lived in Virginia the many varieties of Magnolia trees/flowers have intrigued me! SO beautiful, So Gentle, So Delicate! That’s lovely! We don’t have any of the pink tinted Magnolia’s here…none that I’ve noticed anyway. I wish we did! Thanks,, yes this is from what I think is called a Japanese Magnolia? so lovely,,, sure don’t have them in Minnesota! But Virginia, YES! I was reading that there are 210 species of magnolias! Probably the most common to all of us is the southern magnolia,, this one pictured here is a lily magnolia………. thanks for commenting and visiting! Oh my, I had no idea there were so many! I only see the big white ones here in No. CA. Great photo! There are Magnolia in Michigan where I am from but I suspect they are a weird variety. HI John, I never realized there were so many varieties.. I am surprised they can survive the winters in Michigan?